Daegan was able to visit with some of her brothers, sisters, and cousins at the Deepwood Acres Reunion on October 4th, 2009. It was a gorgeous day and more fun than you could ever imagine. 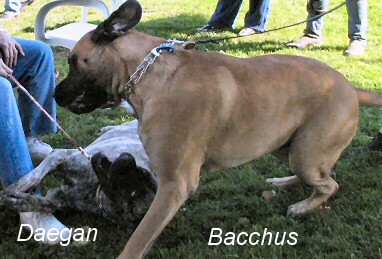 Daegan got to see her friend Bacchus again. They started to play immediately, which surprised a few people because they really get to wrestling and love it! 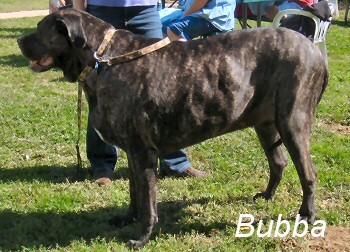 Bubba, who is 5 years old and over 200 pounds (from the first Deepwoods litter) kept an eye on things and barked at these two whenever he thought they were getting too excited! 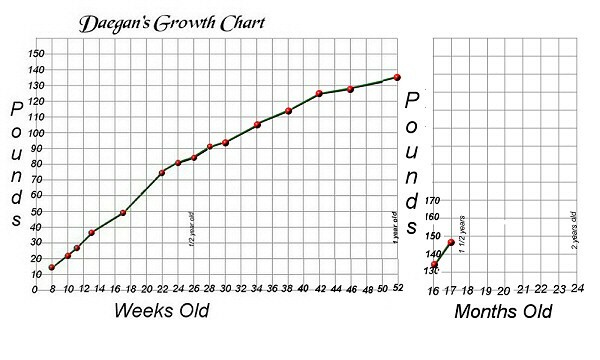 Things got pretty busy during the summer, so the growth chart has a few spaces, but this December, at Daegan's routine vet appointment, we were surprised at the growth spurt. She gained almost 15 poumds since her last visit. 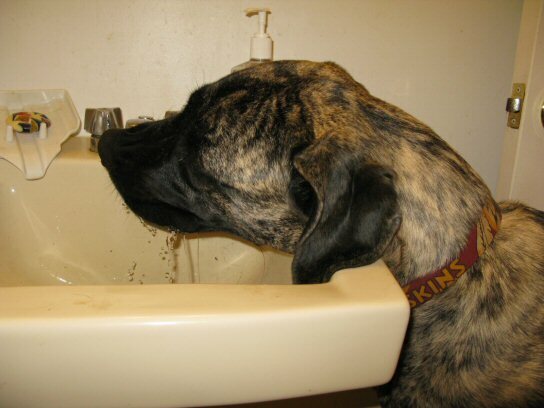 Daegan's newest trick is drinking from the sink. She is quite dejected if you don't stop to let her have a drink! 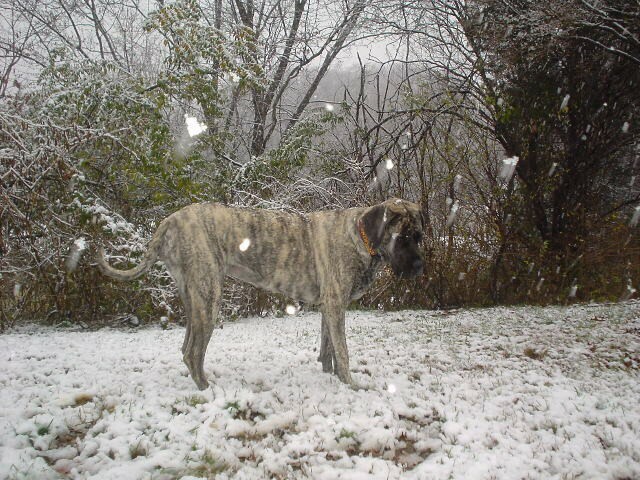 Our first snow of this season (still Fall) came on December 5th. It wasn't much, but Daegan had a ball eating snow and chasing snowballs that disappeared in the snow.